Thera-Band Mini Ball is soft and inflatable to support a range of varied and effective exercises designed to increase core strength in the back and abdominals. 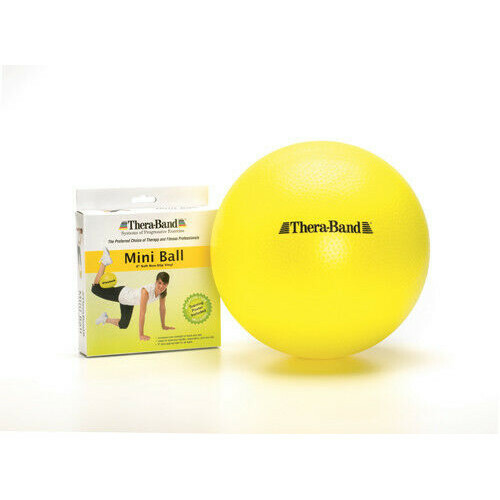 Tactile, stretchy PVC makes the yellow 9" diameter ball responsive to the touch and non-slip when placed against a hard surface. 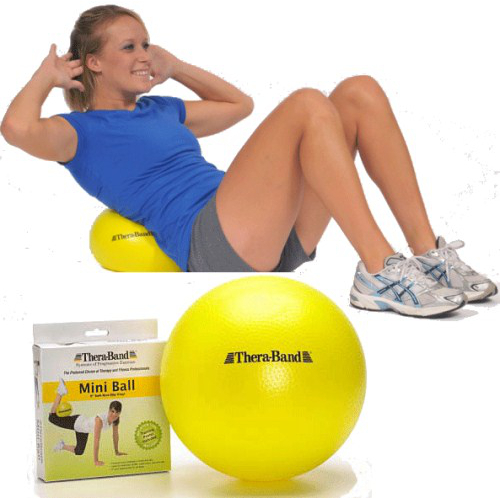 An instructional poster is included.